In "Raising the Steaks", a documentary produced by the American Angus Association® for RFD-TV, one consumer couple takes a behind-the-scenes tour of beef production from gate to grocery store. Josh and Leah Swindler, from St. Joseph, Missouri, visit with cattle farming families, ask all their questions and learn about producers’ dedication to raising wholesome beef. "As a consumer, I’ve always tried to be conscious of where my food comes from, and I think it’s important for consumers to see the amount of effort and care that goes into food production," Leah said. "The welfare of animals has always been important to me, and this process helped me be more reassured by how our food is produced. It helps you value your food more." The documentary follows the couple through the whole beef production process, starting by visiting an Angus seedstock farmer, a cow/calf rancher and a feedyard. Their tour concluded with watching and discussing a video about beef processing and visiting the meat counter of a local grocery store. "As an increasingly urban society, educating consumers about food production becomes more and more important," said Clint Mefford, Angus Association director of communications. "We are proud to be able to do our part in giving Josh and Leah this opportunity and to share their experience with our members and other consumers alike." This journey opened Josh and Leah’s eyes to the care that goes into raising beef. It’s a great starting point for discussing where food comes from. 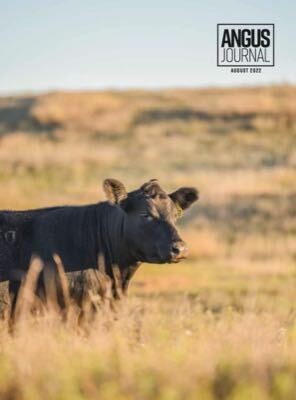 Additional information is available at these websites – Find Our Common Ground, Food Dialogues and Beef It’s What’s For Dinner – to find more information about what cattle eat, how they are cared for and the role of family ranchers in bringing wholesome, healthful beef to your table. Resources are also available for download below.